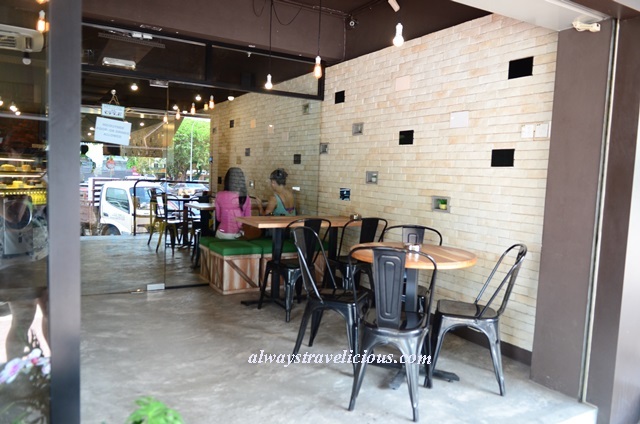 Brewyard Coffee @ SS 15 Subang Jaya - Always Travelicious ! 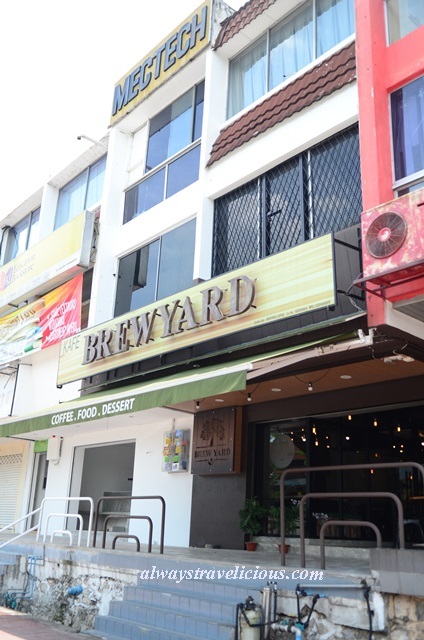 Brewyard Coffee @ SS 15 Subang Jaya has a barn-like aura to it with a raw look. The “Sugar Rush” items on the menu ensure those needing a calorie boost will be satisfied. I am going to start off with my favorite which was the dessert we had – the “Gone Mars Bar” under the “Sugar Rush” menu (RM 12). It’s fried Mars bar with a scoop of ice cream, drizzled with chocolate sauce and sprinkled generously with icing sugar. How sinful. The Mars bar is wrapped in a thick batter (too thick actually) and deep fried. As you take a bite into this “Mars bar goreng”, chewy toffee intertwined with oozing warm chocolate promise flavors of elation. It gets better when you send in a spoonful of vanilla ice cream. Other items on the “Sugar Ruch” menu sound just as sinful, such as the B.Y. Waffle, “with nutella, oreo ice cream, fruits, peanut brittles & Nutella sauce”; or Salted Pancake with “salted caramel sauce, bacon bits & vanilla ice cream”. Both sound seriously tempting for a re-visit. The other items we tried were salad (RM 8), french fries (RM 7), turkey tortilla (RM 18) and calamari aglio olio (RM 18). They were not bad, though not out of this world. The tortilla wrap I suppose made me feel less guilty as this one is much healthier with fresh vegetable shreds and turkey ham, compared to the Gone Mars Bar ! 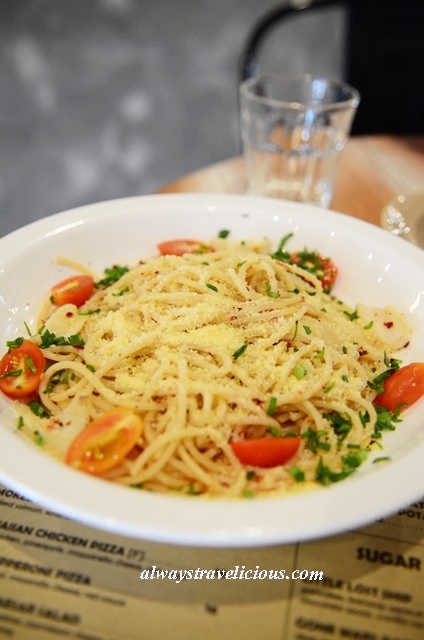 Calamari aglio olio was al dente but not too striking in terms of flavor. The long black coffe (Rm 7) which I forgot to take a photo of was delectably rich and aromatic.